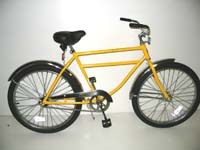 The Classic American Made Bicycles - but with a big difference. These are built "Worksman Tough" for day in, day out use. Thousands of these rugged performers report to work each morning - sometimes after working all night! 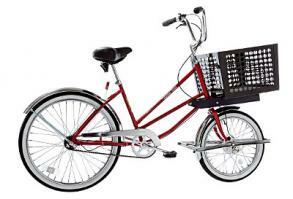 From shipyards to movie lots, newspaper delivery to the US Postal Service, country club to country store, Worksman Industrial Bicycles keep delivering. Credit the fully hand brazed lugged frame, "knock-out" industrial front hub, "posi-quad" welding, and steel 26" exclusive Worksman clincher rims. These and dozens of other "Worksman Tough" features are what make the "Industrials" the bike of choice among leading companies the world over. 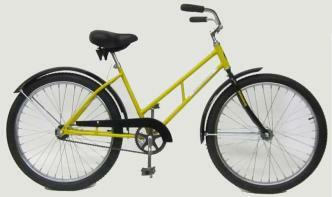 Choices are shown for each cycle including Kevlar Belted Air Tires, Worksman Airless Technology Tires™, Multi-speed Coaster Brake gearing,exclusive Alloy Worksman Clincher Rims (we don't use standard bike rims) and much more. 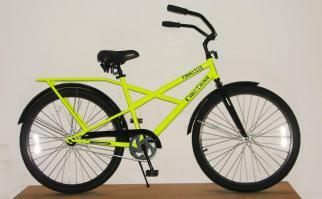 Looking for Heavy Duty Industrial Grade Bikes? 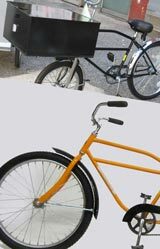 Worksman is the real deal in heavy duty bicycles, that happen to be designed, welded, painted and assembled proudly in the USA. 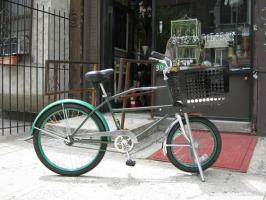 See how this young entrepreneur got started using Worksman Low Gravity Delivery Bikes! To prove that extraordinary toughness need not mean ordinary looks, our Industrial Bikes carry the classic American profile, set off beautifully by lots of chrome, standard or optional paint choices, and cantilever frames. These are classic industrial grade bicycles, unlike any other brand. If you are looking for American-made bicycles, rugged bicycles & cargo bikes, then look no further than Worksman. Heavy-duty parking rack, ideal for lighter outdoor applications. Comes in a range of sizes/capacities.